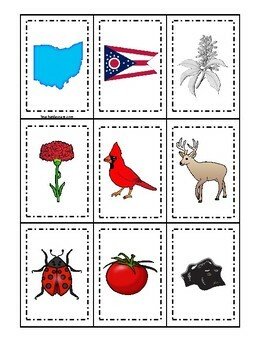 Ohio State Symbols themed Memory Match Preschool Educational Card Game. Ohio State Symbols themed Memory Match Game. 18 game cards.